instruction achieved significant improvements in reading and comprehension. They made large (significant) standard score changes on all measures. 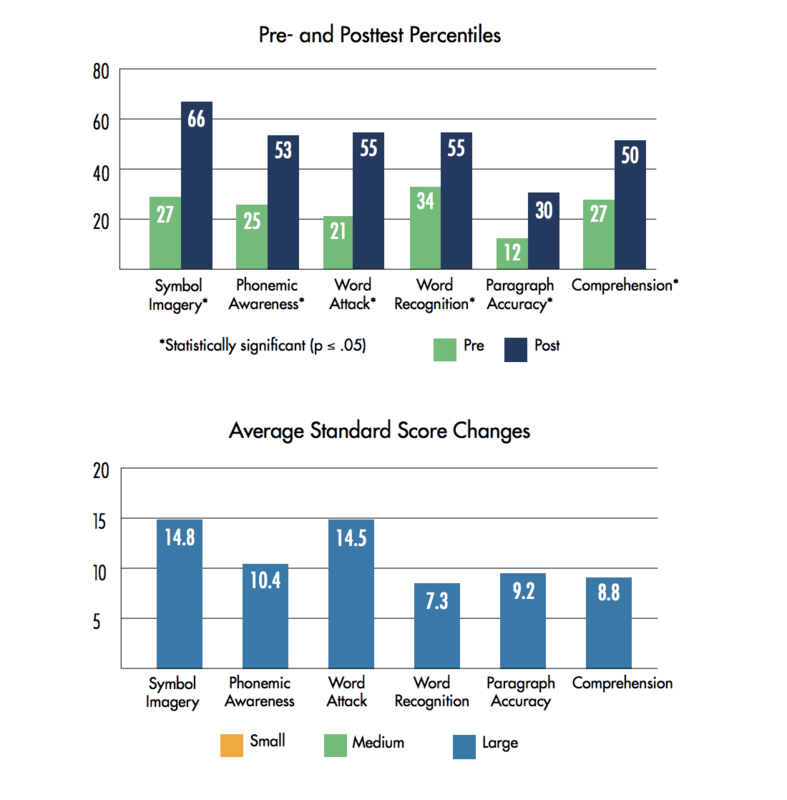 Although the large average standard score gain on the word attack measure is notable, it’s equally, if not more, important to note the large average standard score gains in paragraph reading accuracy and comprehension.